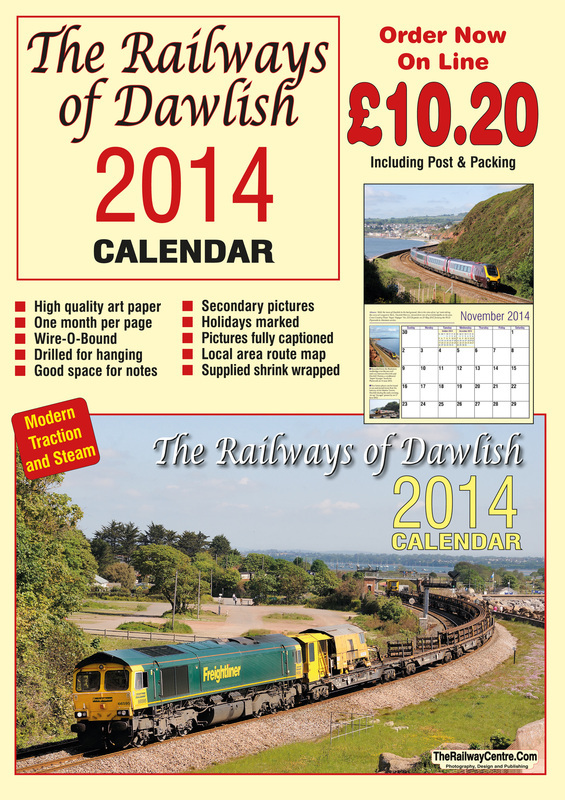 The Railways of Dawlish 2014 Calendar is now available by mail order direct from the publishers, or through some high street outlets. The high quality publication now in its fifth year of publication costs just £8.99 plus P&P. It contains 15 full page images of trains on the Dawlish Sea Wall with one spread per month (see sample on right). Please order 'on line' by using the buy now buttons below. Calendars can also be purchased with payment by cheque or postal order made out to The Railway Centre.Com for £10.20 and sent to TRC Publishing, 1 Burns Court, Marine Parade, Dawlish, Devon. EX7 9DL.